When homicide chief Konrad Simonsen is called to investigate the murder of a woman whose body was concealed in ice for 25 years in Greenland's vast, brutal landscape, he quickly notices some eerie resemblances between the victim and the body of a woman from a recent murder case: long black hair, early 20s, high cheekbones and oddly clipped fingernails. The similarities lead the detective to realize that not only did he peg the wrong man on a recent case, but that the real killer is still at large. 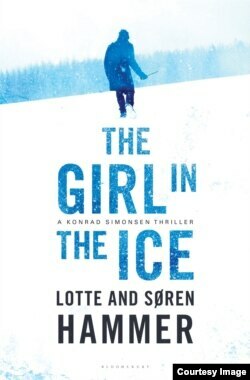 Thus begins a tireless investigation to determine if there are more victims, the identity of the murderer and whether he will kill again in “The Girl in the Ice” by Lotte and Soren Hammer. As Simonsen briefs his team on the facts, each detective develops leads and speculations. Some prove fruitful; others prove dangerous. One detective visits a clairvoyant woman whose skills can only sometimes be trusted, while a younger addition to the homicide team tries desperately to solve the case on her own. Then, when a possible connection is discovered between one of the victims and a political figure, the case grows more complicated. Intertwined in the plot are the obscure relationships among the team. Simonsen maneuvers a hazy, undefined fling with his top investigator, the Countess, and one newbie isn't above flirting to get what she wants out of potential witnesses. Any roadblocks the detectives hit in the case are tidied up quickly by a helpful cast of extras. A computer genius sits ready to dig up background details on suspects, and political figures provide hidden dirt from years past. While some scenes tend to spoon-feed readers into accurately calculating what will happen next, there are enough false and tangled trails to keep the guessing game going until the end.